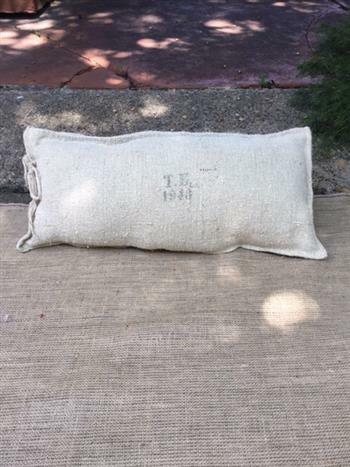 The following 3 grain sack pillows are made from original WWII 1943 grain sacks from the Swiss Army's Bakery Division. The grain sacks are made from heavy flax linen and has been washed and dried giving them a distinct softness yet maintaining the durability of the linen. They are imported from Germany. The color is a light tan./gray. 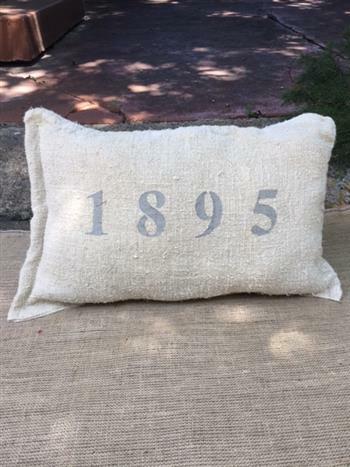 The lettering on this pillow is the farm stamp. This unique marking is the initials of the farmer for easy identification of where the grain came from and to ensure that the sacks were returned to the farmer. This one is marked as shown but each one is different based on availability of the grain sack. 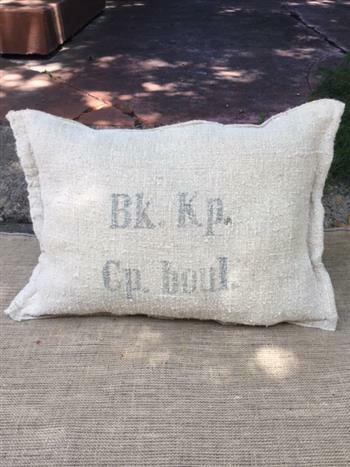 This pillow was made from the grain sack and was stenciled by us in light gray.